The funding will be used to replace an existing natural gas-fired boiler with an electrical boiler, and construct a solar-powered car park for over 200 parking spaces. The electricity from the solar system will be used to help power the new net-zero $54-million Joyce Center for Partnership and Innovation building currently under construction. Goshen College and College Mennonite Church have announced a project to jointly install a 924-panel solar array, totaling 316 kilowatts, which will power the church-chapel building. Construction is underway on a new, 58,000-square-foot natural gas facility that will provide heating, cooling and 2.5 megawatts of electricity for the campus. 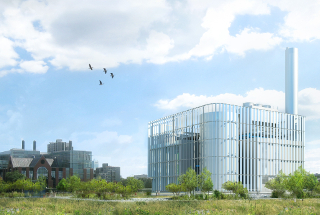 With a focus on energy efficiency, an element of the facility will be a 1.3-million-gallon tank for storing chilled water that will be used to cool buildings with some limited other applications to support research. In order to minimize impacts from potential flooding the building is raised above projected flood levels. 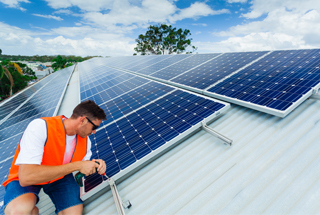 (Australia) The 2 megawatt system will have more than 6,000 panels installed across about 25 buildings at the Callaghan campus with additional panels installed at the Ourimbah campus. The system is projected to reduce greenhouse gas emissions by 2,800 tons of carbon dioxide. The university's board of trustees recently approved two proposals that will improve lighting at dozens of campus buildings and create a more efficient heating and cooling system for a campus laboratory building. The approved proposals are part of the university's $1 billion partnership. The university recently upgraded its arena lighting to LEDs with occupancy-based controls and dimming functionality, reducing the arena’s annual lighting electricity use by 65 percent. 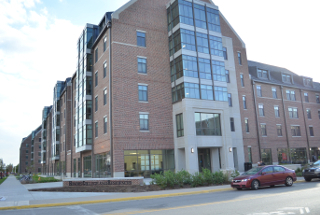 (U.K.) As part of its commitment to improving its energy efficiency and reducing its carbon footprint, over 7,000 outdated light fixtures were upgraded to LED technology in 23 buildings across the college’s three campuses. The new technologies are predicted to reduce carbon emissions by over 605 tons annually. 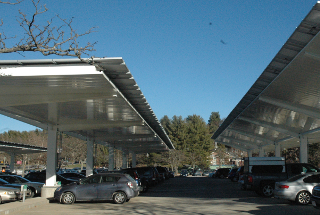 The soon-to-be-connected solar shade structures totaling 5.5 megawatts have been installed on parking lots at the college's main campus in Rancho Cucamonga as well as the Fontana and Chino campuses. The installation is projected to offset more than 90 percent of the college district’s annual electricity usage. 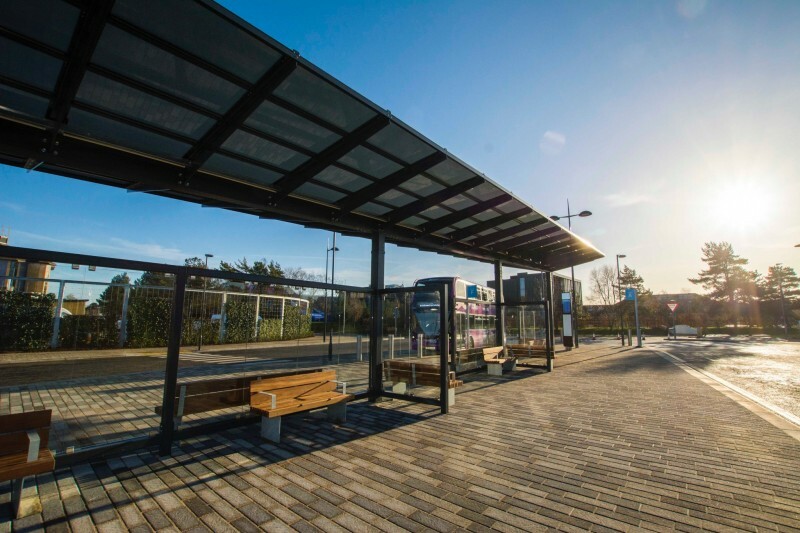 (U.K.) A new bus station hub was fitted with solar panels and real-time displays to show the departure times for all public bus services. As part of a program to reduce greenhouse gas emissions, the university will combine $26.7 million in new funding with $15.3 million already earmarked for energy efficiency projects to complete energy measures across its three campuses. Projects include a geothermal well and upgrades to a 106-year-old central steam plant. Solar-powered picnic tables were installed outside of the university's College of Business. A gift from the Appalachian State University Renewable Energy Initiative, a student-led, student-funded organization that installs renewable energy and energy efficiency projects on campus, the three tables feature wireless charging, USB ports and regular outlets. The new Associated Students Sustainability Center at CSUN features solar thermal hot water for domestic use, a 24-kilowatt photovoltaic system for electricity, daylighting combined with photosensors to control indoor lighting, and low-flow water technology along with composting toilets. Additionally, water from the lavatories, showers, and the heating and cooling system are captured and treated for irrigation use, and an existing paved service yard devoid of landscaping was transformed into a regionally appropriate drought-tolerant garden. Recommendations from a climate change task force informed a new set of climate commitments that the university recently adopted - a long-term goal of being fossil fuel-free by 2050 and a short-term goal of climate neutrality by 2026. 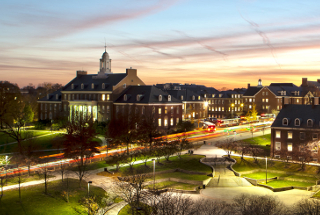 The Maryland Clean Energy Center has allocated $18.3 million to the university for the development of an energy-efficiency project across eight buildings. The project includes LED lighting upgrades, water conservation measures and lab ventilation controls upgrades. The project will reduce campus-wide energy consumption by approximately six percent. The renovation of the university's Rotunda building, which took from 2012 to 2016, included upgraded, energy-efficient HVAC and plumbing systems, and conversion of all lights to LEDs. The paints, adhesives and sealants all included low volatile organic compounds and 95 percent of the materials that were removed from the historic building were recycled. 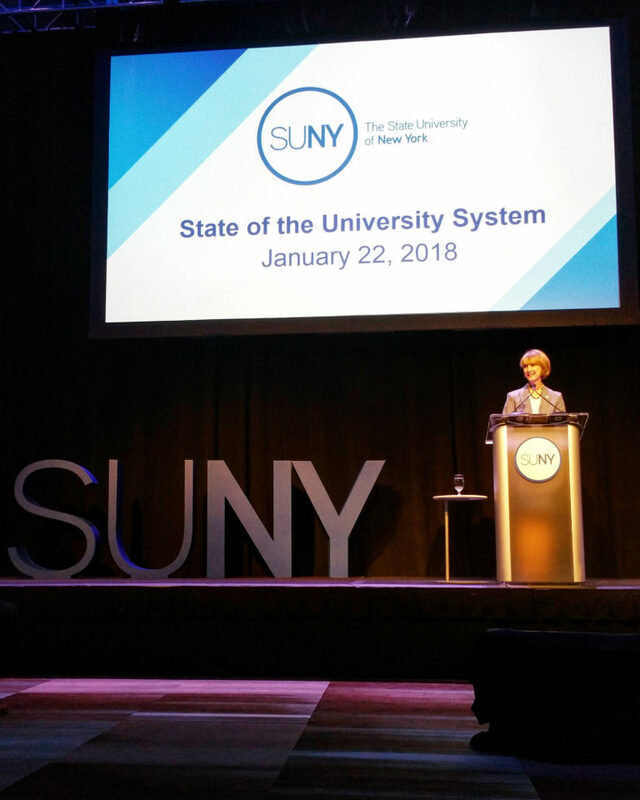 In her State of the University address earlier this year, SUNY Chancellor Kristina M. Johnson called for purchasing 100 percent of SUNY’s electricity from zero-carbon sources and deep energy retrofits at SUNY campuses, which represent 40 percent of state-owned buildings. To support this effort, she announced a partnership with the New York State Energy Research and Development Authority (NYSERDA) to support eligible SUNY campuses to develop energy master plans and provide access to on-site energy managers who can identify areas for improvement and engage in strategic planning and feasibility studies. 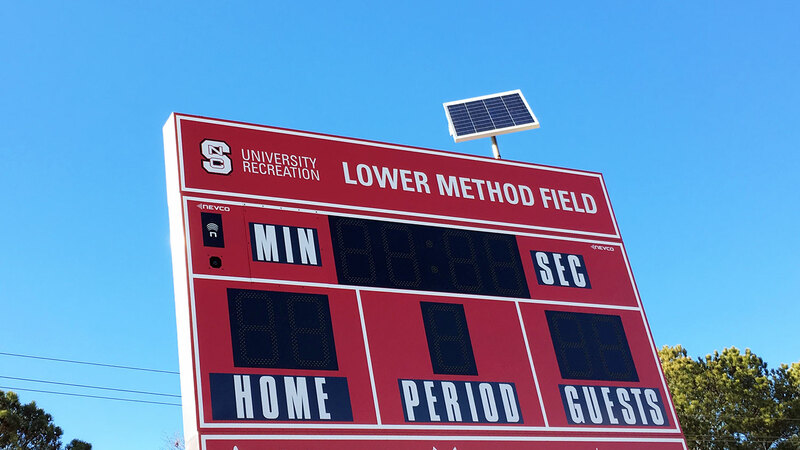 In November, University Recreation installed two solar-powered scoreboards in the Method Road Field Complex, where Wolfpack club and intramural sports teams host approximately 250 games and 500 practices each year. The solar kit’s batteries store energy so that the scoreboards can be used on cloudy days, as well as evenings. A grant from the university's Sustainability Fund helped fund the scoreboards, which will save an estimated $400 annually in avoided electricity costs. The board of the community college approved a contract in mid-January to build a 2 megawatt solar energy field on campus. Under terms of the agreement, Parkland expects to save $25,000 to $30,000 annually on its electricity costs and would pay none of the upfront or operating costs of the system. The solar field would provide between 10 and 15 percent of Parkland's energy use. The community college has offset its Scope 1 emissions by acquiring carbon offsets, mostly from wind energy and some from landfill gas. Since 2014, the college has offset all Scope 2 emissions by purchasing renewable energy certificates. (U.K.) The Smart Energy Network Demonstrator will be a single, integrated electricity, gas and heat system that includes the digitalization of 24 substations and the installation over 1,500 smart meters, 500 home controllers and a five megawatt renewable integration package. Developed in partnership with Siemens, the project will provide analysis of energy consumption to enable demand management and allow businesses to access the university's infrastructure in order to develop and test renewable and smart energy technologies. (Australia) A 15-year power purchase agreement will enable the university to achieve its goal of carbon neutral energy use by 2020. Starting in 2019, the university will purchase up to 140,000 megawatt-hours of electricity per year, enough solar energy to meet 100 percent of its electricity use. The university recently entered into a partnership with the City of Tallahassee to procure approximately 20 million kilowatt-hours of solar energy per year, which is about 10 percent of the energy consumption of FSU’s main campus. Multiple work groups at the university collaborated to develop and launch an online tool that displays real-time data on its renewable energy portfolio, which includes energy production on 1,700 panels installed in 2017. The goal of the tool is to raise awareness of the university’s investment in solar energy production and the environmental savings resulting from these initiatives, and to support learning opportunities for students, faculty and staff. The residential college now has 100 percent of its electricity sourced from 15,000 photovoltaic arrays on two fields that have a capacity of 4.7 megawatts. The college is buying the electricity at a fixed rate for about half the rate the college had been paying. The project is estimated to save the college about $400,000 a year in electricity costs for up to 20 years, for total estimated savings of $8 million. As of December 21, five parking lots spanning 45 acres now have fully operational photovoltaic arrays over them totaling 11 megawatts of electricity. The arrays are expected to save the university $10 million over 25 years, and provide approximately five percent of its annual electricity needs. Eleven students in a recent course on energy and sustainability built a charging station for electric cars that is attached to its Sustainable Living Center grid. The station uses some of the excess energy from the wind turbine and solar panels that power the building. The charging station, which is free for anyone to use, was set up for about $600. 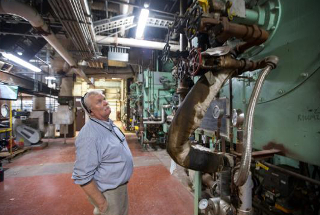 A decommissioned 104-year-old heating plant on the university's Twin Cities campus has been resurrected as a 22.8 megawatt combustion turbine and heat recovery co-generation system that will generate electric power and steam. 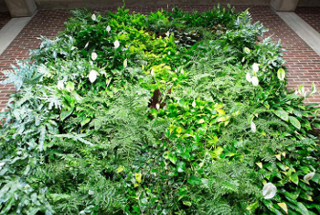 The university expects the system will reduce its net carbon footprint by 10 to 13 percent. The 212,000-square-foot Champions Center, the 109,000-square-foot Indoor Practice Facility (IPF), and extensive renovations to the Dal Ward Athletic Center were part of the recent Athletics facilities upgrades, all of which obtained LEED Platinum. 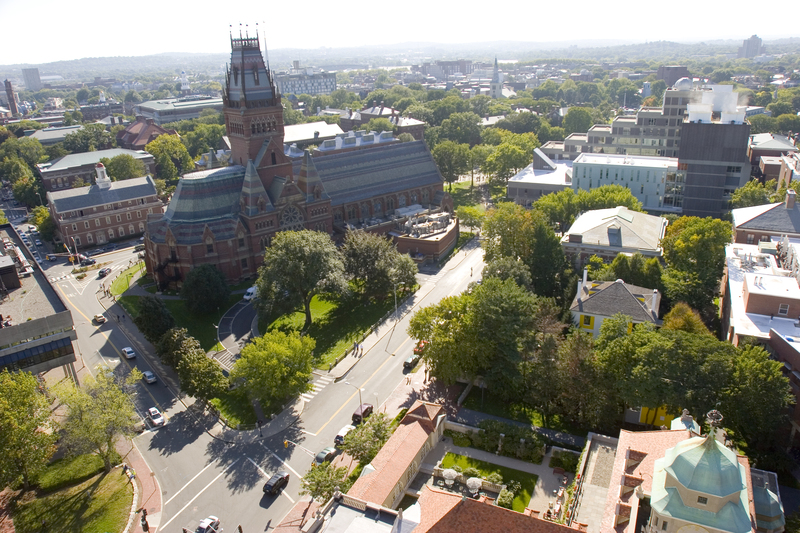 The Boston University board of trustees recently approved a Climate Action Plan that aims to cut greenhouse gas emissions across both the Charles River Campus and the Medical Campus and fund broad infrastructure improvements in preparation for flooding or heat surges in the coming decades. The plan calls for capital improvements estimated to cost about $141 million over 10 years and the reduction of carbon emissions on the campuses to zero by 2040. 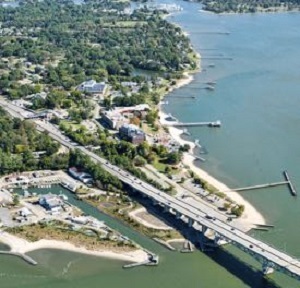 A $10,239 Green Fee grant awarded in fall 2017 will be used at the college's Virginia Institute of Marine Science to reduce electricity usage and improve working conditions by replacing 52 dated, energy-demanding bulbs with new light-emitting diode (LED) lamps in three buildings. 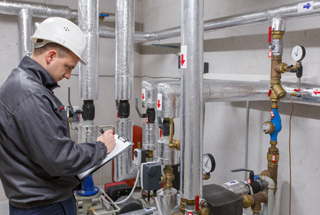 As part of its continued work to reduce greenhouse gas emissions to 42 percent below 2007 levels by 2020, the university will increase energy efficiency by replacing its steam-based central heating system with a medium-temperature hot water system. Completion is expected in October 2020. 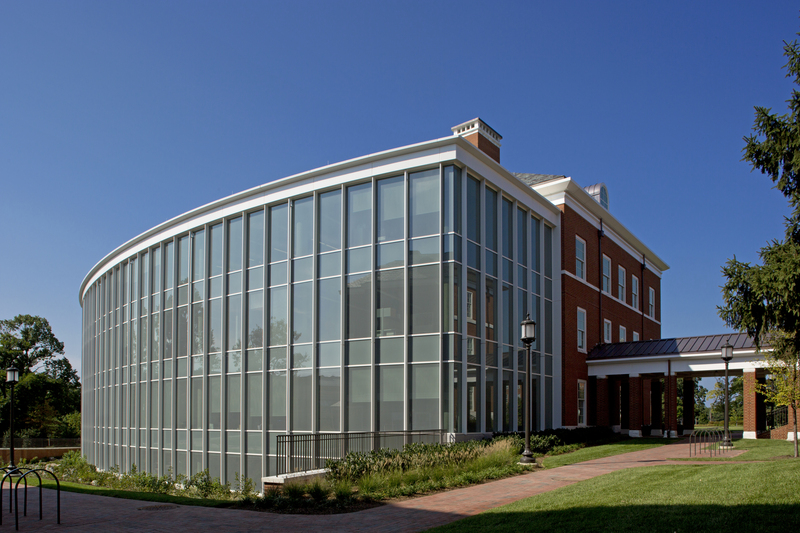 Sustainability features of the university's Malone Hall are heat reutilization, an energy recovery wheel, radiant panels and LED lighting. Water conservation measures include low-flow fixtures, dual-flush toilets and electronic faucets that are estimated to reduce water consumption by 40 percent. The building landscape incorporates a bio-retention swale, which is a shallow, vegetated, landscaped depression with sloped sides that manages storm water runoff. (Australia) The University of South Australia will soon receive 3.6 million Australian dollars ($2.7 million) for a project at its Mawson Lakes campus that is expected to cut campus emissions by 35 percent. The project includes hydrogen production with a 50 kilowatt hydrogen fuel cell and a 1.8 megawatt photovoltaic array. 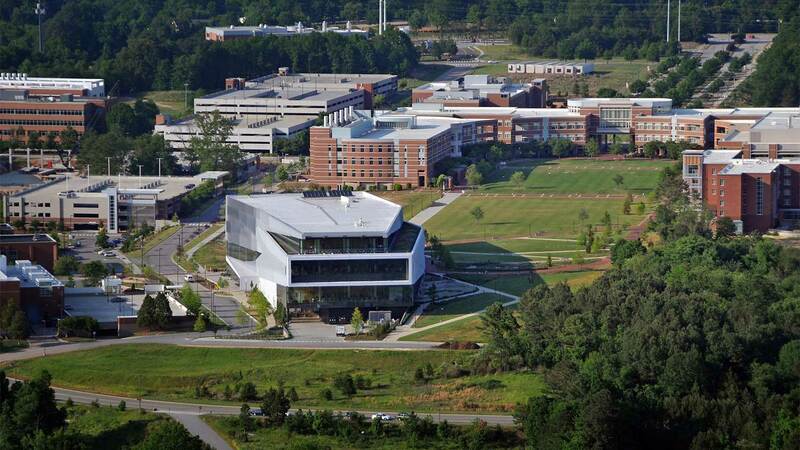 The university has partnered with Duke Energy to develop and install a solar panel canopy with a 1 megawatt capacity over a campus parking lot near Memorial Stadium. North Carolina State University, Pace University, Pennsylvania State University-University Park, University of Illinois at Chicago, University of Maine, Washington State University, Houston Advanced Research Center and the Center for Sustainable Energy will split a U.S. Department of Energy $25 million grant to further the installation of cost-effective, highly efficient combined heat and power (CHP) technologies. These institutions will, among other things, become regional CHP Technical Assistance Partnerships that will assist in the development of strategies to increase resilience to natural disasters and improve grid and electric delivery reliability. A new training program is part of the university's GridSTAR Center, a smart-grid education and research center at Penn State at The Navy Yard. The program is intended to help instructors prepare to teach electrical workers about safe and productive energy storage and microgrid construction. A unique element of the program is that the curriculum is based on lessons learned in the design and construction of multiple energy storage and microgrid systems at Penn State. The $50,000 grant will be split between campus sustainability research and collaboration, and STEM opportunities for diverse and underrepresented students. The university's National Western Center Sustainability Team will use $37,500 to develop innovations in water, energy, food systems, and health and recreation, and improve the natural environment. The second part of the grant, $12,500, supports the CSU Water Fellows program. First-generation CSU students from diverse and often underrepresented backgrounds will team with neighboring high school students to work on water issues. A $50,000 grant from Duke Energy will help Indiana University Bloomington convert emissions from its heating plant into fertilizer using a photo-bioreactor. The fertilizer will be used in the more than 200 flower beds across campus. The university's new Green Revolving Loan Fund was seeded with $230,000 and aims to reduce the university’s carbon footprint. Funded projects must reduce carbon and provide a return on investment. 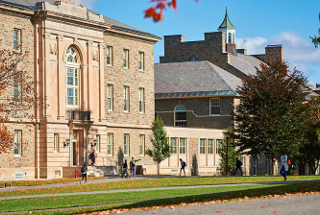 Colgate has committed to becoming carbon neutral by 2019, the university’s bicentennial. 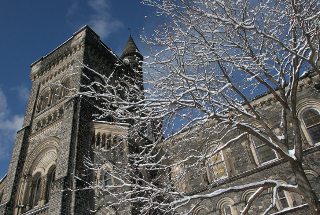 To help the university achieve its net-zero energy goal and bring more cost-effective, renewable energy resources online, the university is working with local power companies to explore the possibility of a tariff that would go toward projects to increase renewable energy generation, improve grid capacity for renewables and lower energy costs for the university. A new college partnership will deliver renewable natural gas to the college's main power plant. 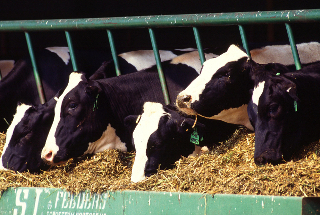 The gas will be produced at a local farm in an anaerobic digester using cow manure and food waste, and will travel by pipeline to the college. The college will purchase approximately 100 million cubic feet (100 Mmcf) of gas annually. (Philippines) In an effort to provide reliable, continuous power to the university, a new 141-kilowatt solar electric system was installed along with batteries. The college was recently awarded $215,000 for planning a $2 million renewable microgrid on campus. The college intends to install a solar parking lot canopy and electric vehicle charging station. Called the Community Renewable Energy Microgrid Demonstration Project (CREMDP), the installation will act as an equipment testing site for innovators and serve as a learning lab for students. 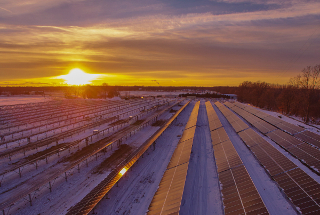 In an effort to reduce its reliance on fossil fuels, the university is currently completing a solar project using 6,750 photovoltaic panels with a 2.3-megawatt capacity. 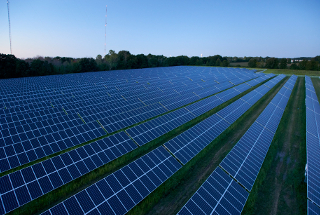 The panels are on university-owned land while the arrays are owned by a power company. Under the agreement with the power company, the university will purchase all of the generated electricity.